Craig and I travelled to Vietnam nearly 12 years ago for our honeymoon and this was our first return visit. A lot longer than anticipated but also 3 little people heavier! Vietnam Airlines flies regularly to Nha Trang from most big cities in Vietnam, including HCMC and Hanoi. At the end of our tour in 2003 we very nearly returned to Nha Trang for a few extra days at Evason Ana Mandara but ended up staying in Hanoi instead. I knew at the time that I might have regretted that decision but after spending the day as guests of the resort, I am now certain that I regret that decision! The resort is exceptional and not only because of its location! Here’s why! First and foremost, they have a great team, including a brand new General Manager, Andrea, who only started with the team 10 days prior to our visit. She made herself available to tour the grounds and have lunch with us. Andrea has a mountain of really impressive resort experience behind her and I can see that she is going to really make her mark on Nha Trang. I could have sat for hours listening to all the lovely places she has been to and the resorts she has worked in and I can see she is going to be admired by her new team. Andrea is of the belief that a happy work force will show in the service delivered and customers will ultimately benefit from that. Even in these early days it is already shining through. 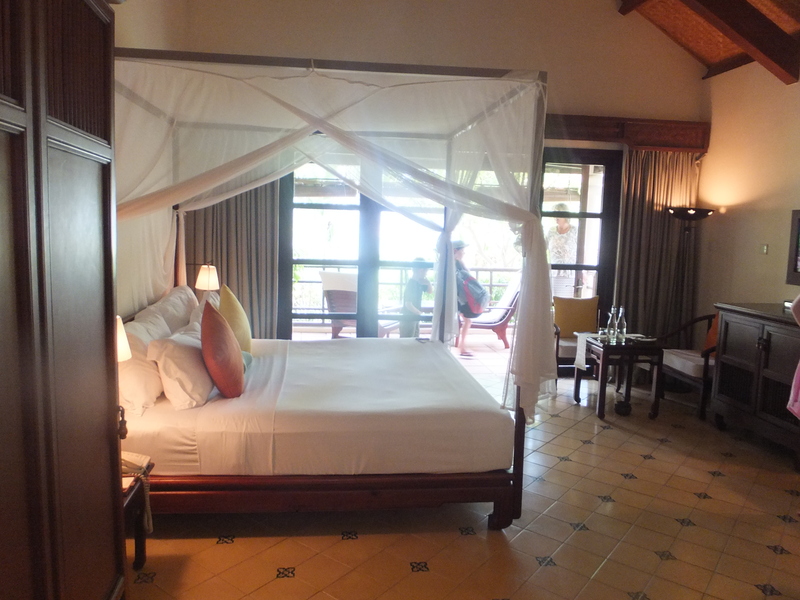 We were shown through one of the Deluxe Sea View Rooms, which have a connecting door to the Garden View Rooms, perfect for families which I was quick to notice. These rooms are luxurious and have an outdoor bath and rain shower, the bath being deep enough to be a your own private plunge pool! It really has a very luxurious feel about it and that’s after you walk past the king size four poster bed! 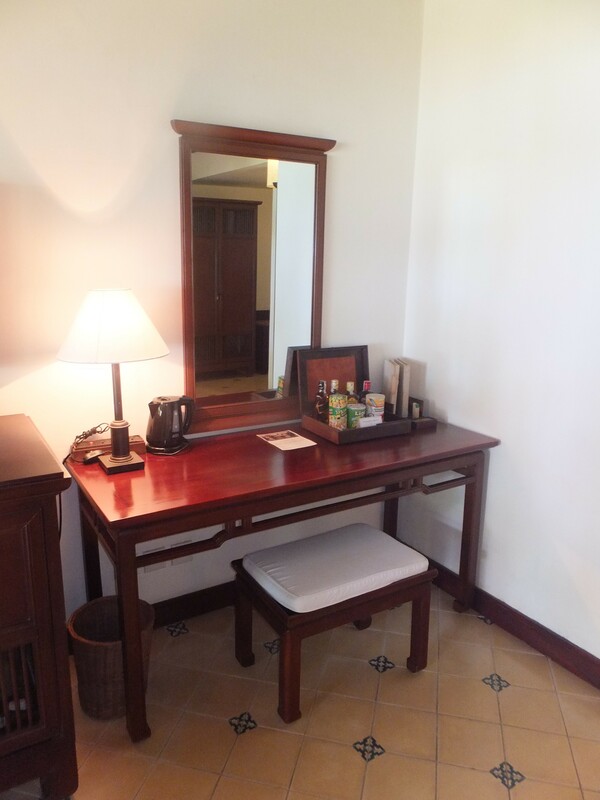 All rooms have a flat screen TVs, a desk, mini bar and an area for welcome drinks and fruit which is provided on arrival. It’s that oriental ambiance of the accommodation that really sets it apart from others. 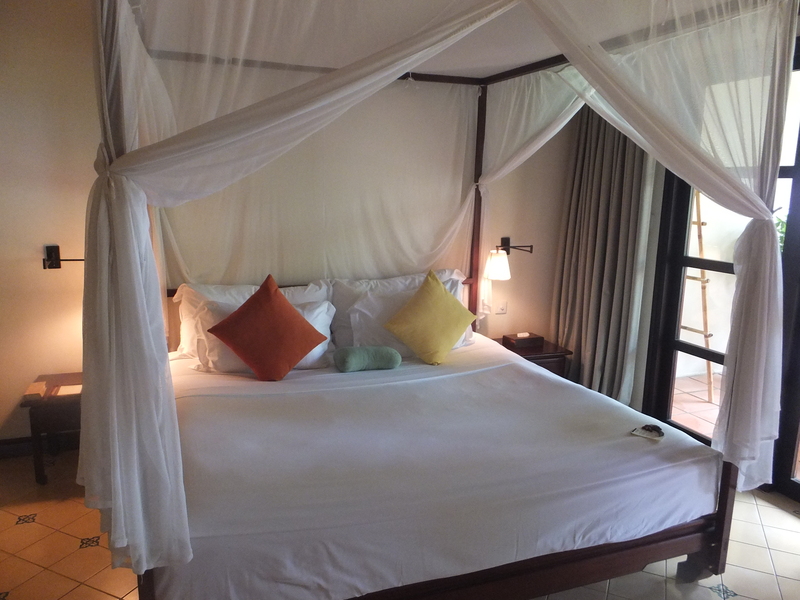 All rooms have comfortable 4 poster King size beds. 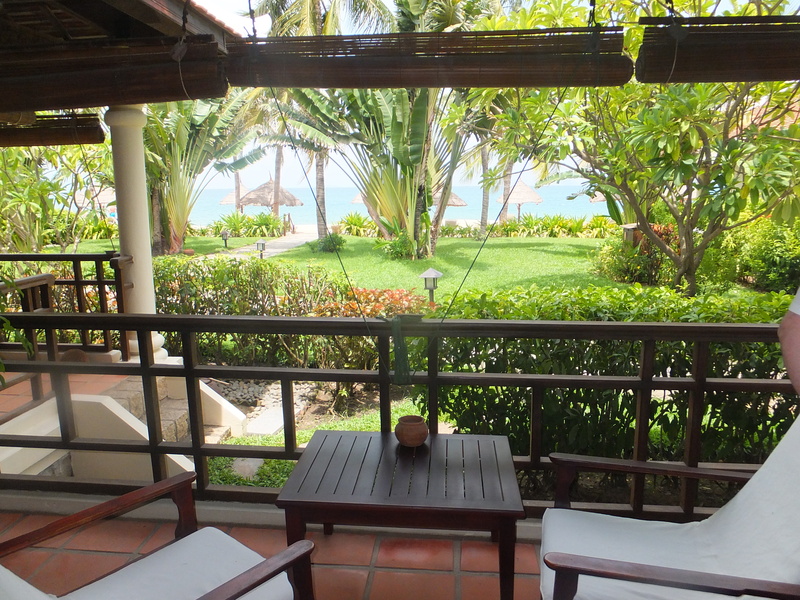 The best part of this accommodation was by far the private verandah with beach views, there is no where else in Nha Trang that you can get accessibility to the beach like you can at Evason Ana Mandara. The views are second to none and I hope that you can get the feel of the resort through the photos below. I am disappointed that I am yet to have the opportunity to stay and it will be at the top of my list for my next visit to Nha Trang. The devine view to enjoy from the verandah of the deluxe sea view room. 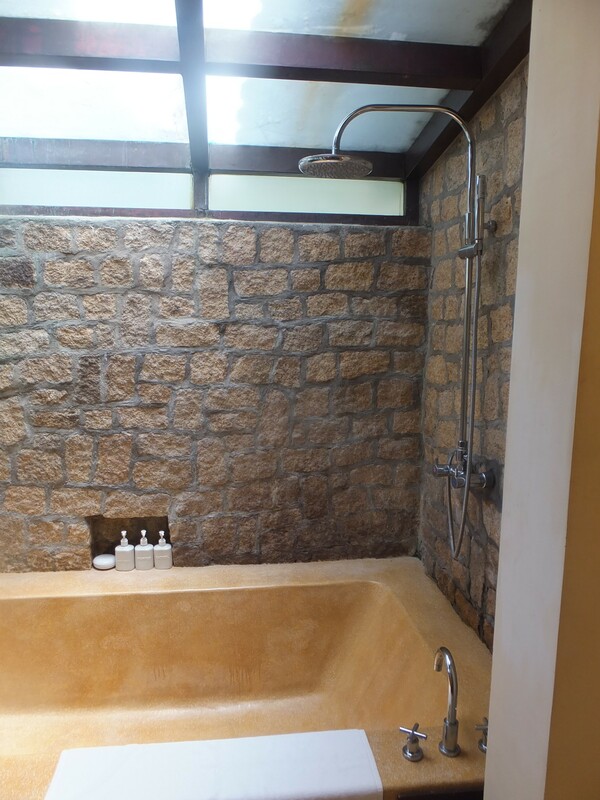 Running water creates a comfortable relaxing atmosphere at the Six Senses Spa. 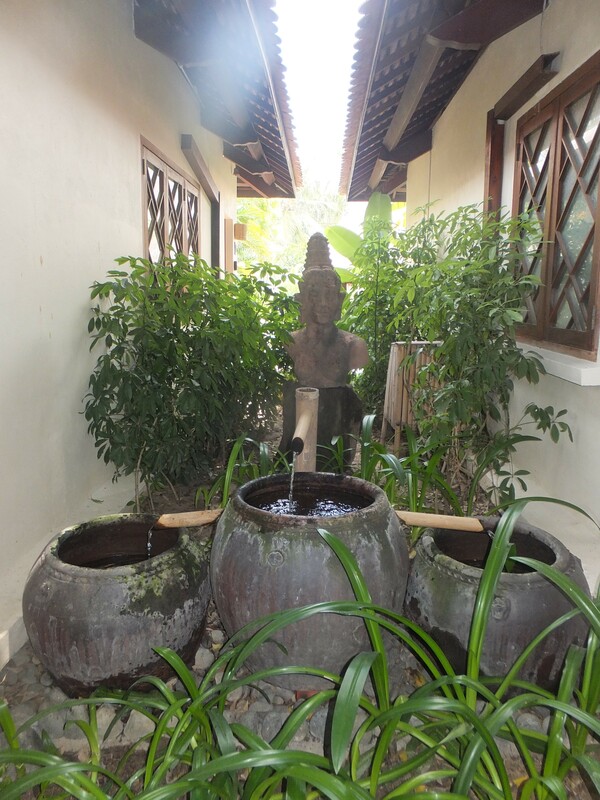 There are a number of facilities that set Evason Ana Mandara apart from the rest besides the location. 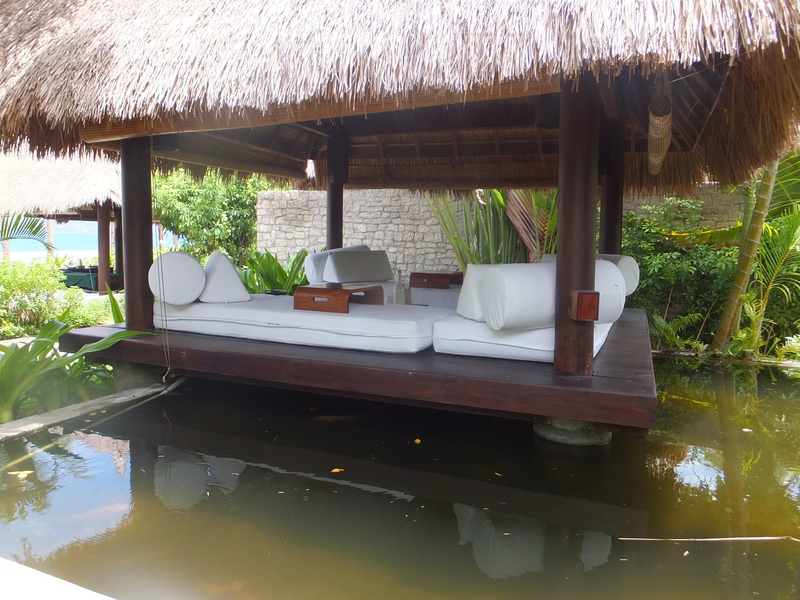 For example the Six Senses Spa. Now everyone enjoys a spa treatment right? But when you get the opportunity to experience it in the open air that has to be a plus. The Six Senses Spa is a decadent experience and you know even just by the amazing aroma of lemongrass oil when you arrive that you are going to have a relaxing, stylish and sophisticated experience. They are able to accommodate couples and the ambiance of listening to the waves crush while having your massage adds to the indulgent experience provided by the professional team at Evason Ana Mandara. Lovely surrounding & for a couples massage. Now I have to admit, I’m not normally a fan of the kids club, generally my kids aren’t interested as they all seem to be focused for a younger age group than my kids. 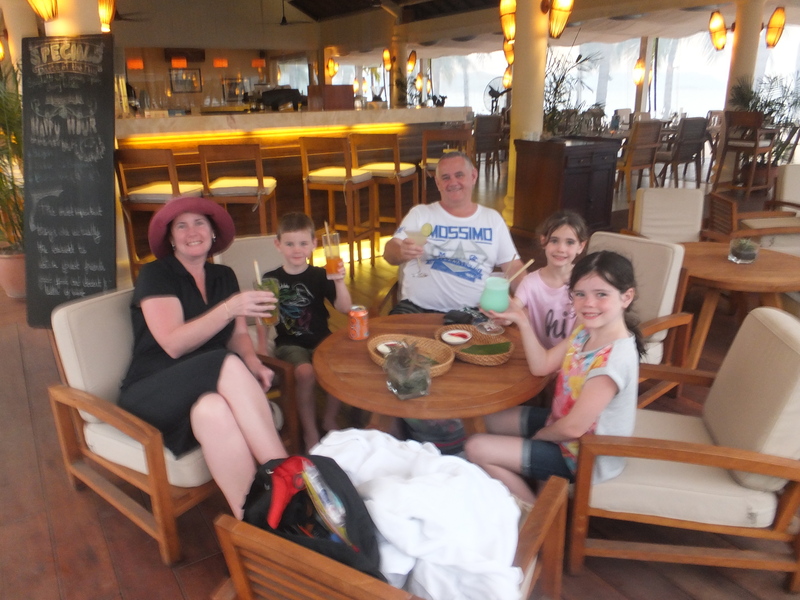 But the Evason Ana Mandara Kids Club appealed to Keira and Caelan (aged 8 & 6) and drew them straight in. This is again a tribute to the fantastic staff, the kids couldn’t get enough of Foo and wanted to stay there all afternoon! This is very unusual for them, they are generally very keen to by-pass the Kids Club that head straight to the pool! 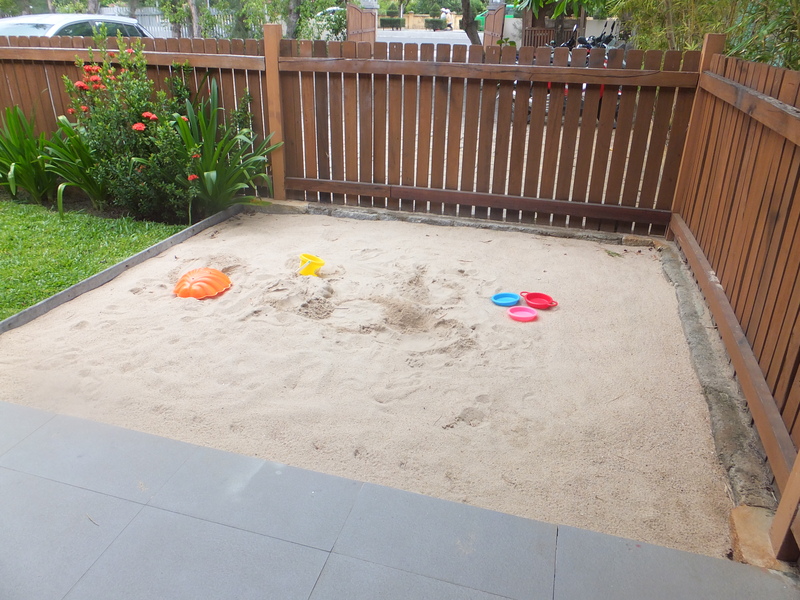 A sandpit at the kids club. Accommodates kids of all ages. On this occasion Keira and Caelan decided to stay and play with Foo while the rest of us went over to the Ana Beach House Bar and Restaurant for lunch. This was glorious for Craig and I, as it meant that we actually got to have a relaxing lunch with Andrea, Van (the Assistant Manager of PR) and Alannah, who was of course the centre of attention and loved it! Caelan playing with Foo at the kids club. 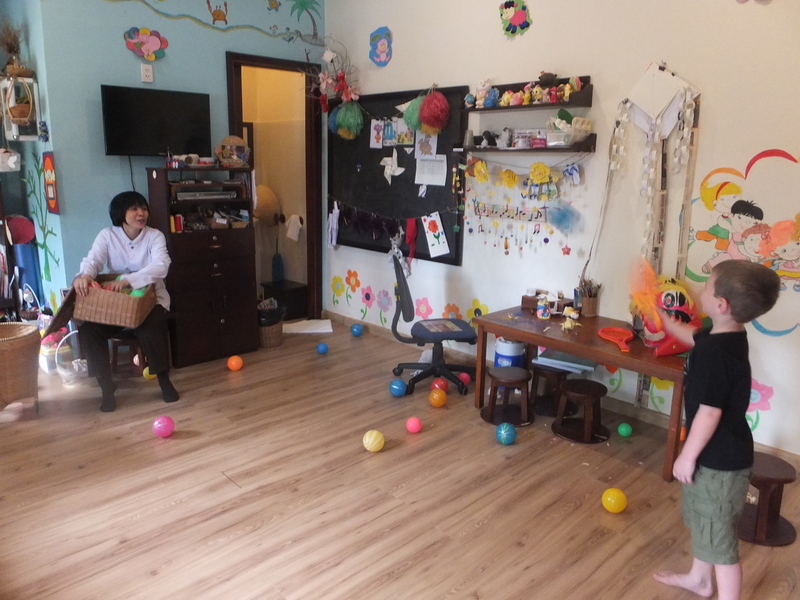 The children were so happy with Foo that they later returned to the Kids Club of their own accord, this has ever happened at any other resort. Foo had Caelan hitting a heap of plastic balls with a bat, what boy doesn’t love that! Keira was happy making crafts which were packed up and sent home for them to show off at school when they return. Alannah was even happy to have an afternoon making crafts which was also great. Foo was disappointed to hear that we were only guests for the day as she was looking forward to seeing this kids again which is always a lovely compliment for Craig and I. 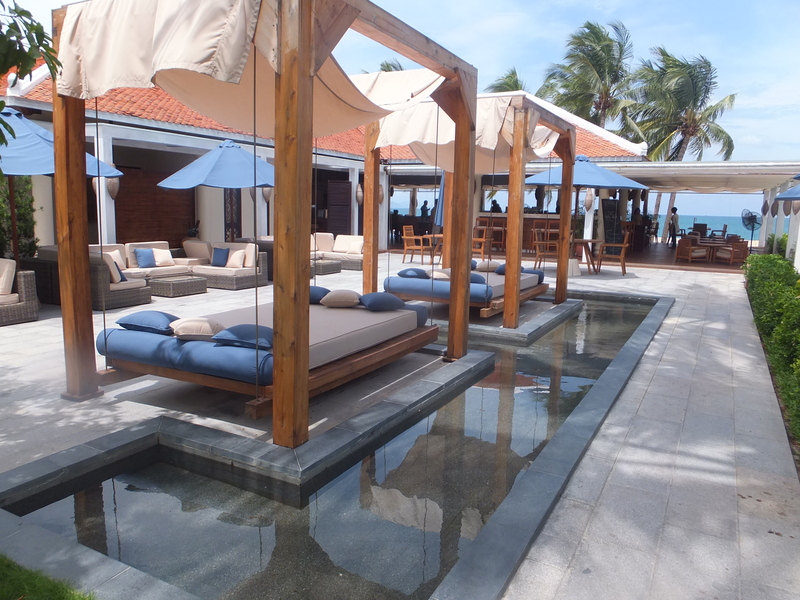 The Ana Beach House Bar & Restaurant is the casual restaurant of the two located at the resort. The Pavilion Restaurant offers a modern cuisine for dinner and a buffet breakfast for guests. The Ana Beach House Bar & Restaurant is located next to the infinity pool and the menu reflects the laid back, relaxed ambiance of the resort. We were lucky to have a table closest to the beach and were able to take in the ocean view while dining. Lunch at the Ana Beach House Bar & Restaurant with Andrea & Van. How’s the view of Nha Trang beach in the background. The menu is mostly Mediterranean and seafood restaurant. Craig got stuck into the seafood straight up and said that his meal was fabulous. I had the lemon grass and chilli chicken breast and absolutely loved it. Not too much and not too little, the size of the meal really hit the mark and wasn’t too heavy for a lunch time menu. There’s a good variety of meals there for children, enough to cover the fussiest of eaters! We all have one of them right! Alannah was happy with the spaghetti bolognese and said it was delicious. The other two were too busy playing in the kids club and didn’t bother with coming for lunch! Although I know Caelan would have had pizza and Keira would have had the fish and chips. There were at least 15 items on the menu for kids and I can guarantee no child would starve at this resort. The kids menu presented as a jigsaw puzzle and would keep your child interested and engaged long after the order had been taken! Enjoying a cocktail while the storm passed over. I’ve saved the best till last! Andrea was gracious enough to allow us to remain at the resort for the rest of the day and enjoy the pool and facilities. The infinity pool overlooks the Nha Trang foreshore and Craig and I were quick to park ourselves a spot and have a quick dip before the kids arrived. That was short lived and they all arrived absolutely bursting to get into the pool. Most amazing view from the infinity pool. We have three very strong swimmers, partly due to having been born in Australia where everyone swims but also that they just love swimming! 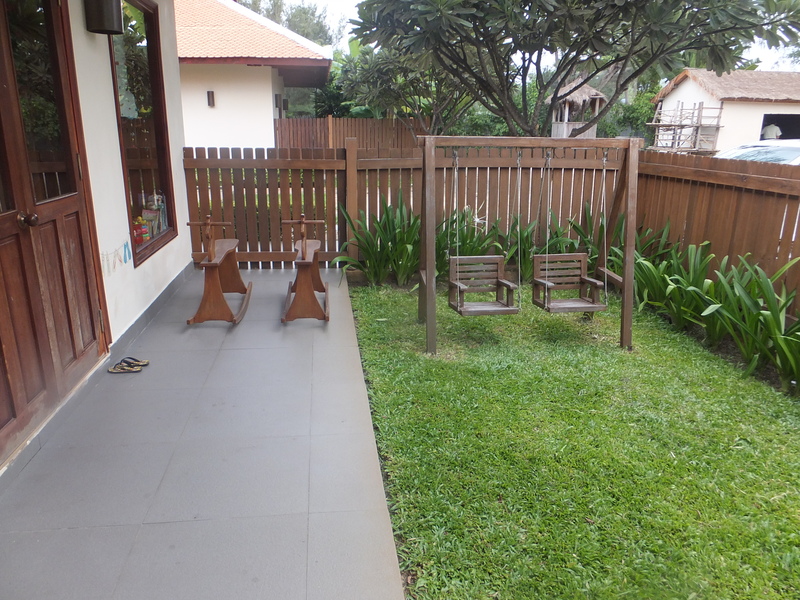 This pool was kid friendly and the kids managed to make themselves at home rather quickly! It is always difficult for the duty staff as our kids are very small for their ages and when they are in the middle of a pool where there is no chance they can reach the bottom. Looks good from both sides! Just in case you just feel like lounging, they have that covered too! Like all other guards, the guard working at Evason Ana Mandara that day was cautious at first but was quick to see they were able to manage themselves. It is always good to see that they take notice and feel assured when I tell them its ok, we are watching but they are great swimmers for their ages. This does not at anytime mean I take my eyes off them. All Aussies know the danger of being around water, we are all very safety conscious as a result. Well the fun didn’t stop there, we were also invited to celebrate the 18th birthday of the resort, I have to add that the resort does not at all, look or feel like it is 18 years old! 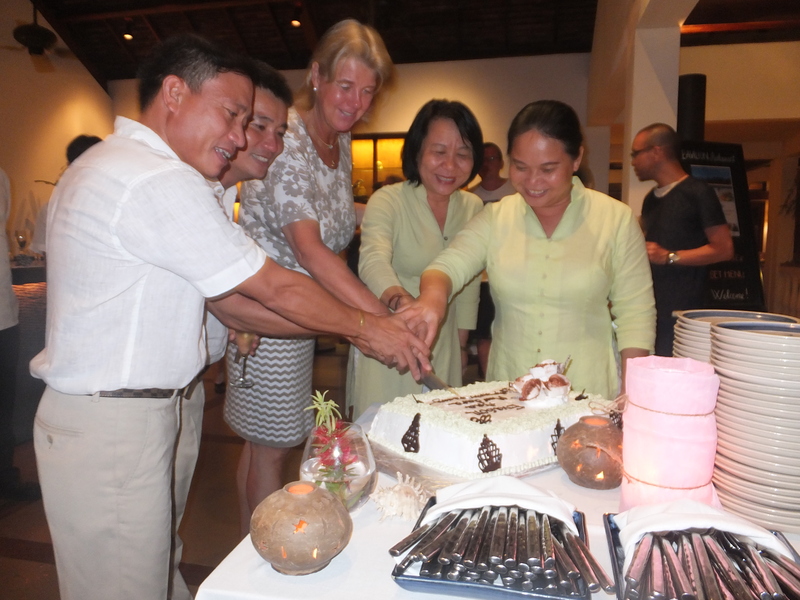 Andrea invited all current guests for drinks to celebrate and to cut the birthday cake at 6pm. We were invited to stay until then and we did just that! Happy 18th birthday Ana Mandara, you wouldn’t know looking the resort, its as good at new. Another Australian couple had just arrived from Sydney. We sat ourselves down with them for a chat and a glass of champagne. Andrea did a lovely speech and noted that there were a couple of staff members that had also been there since day one and thanked them for the tenure, this was a nice touch and also in line with the environment that Andrea is creating that happy staff are important to her. Andrea and her long standing staff cutting the cake together. My personal preference is Agoda for Asia, I have consistently found them to be competitive than any other site but I do check across a number of platforms before booking with any. So whats the verdict? I didn’t want to leave! 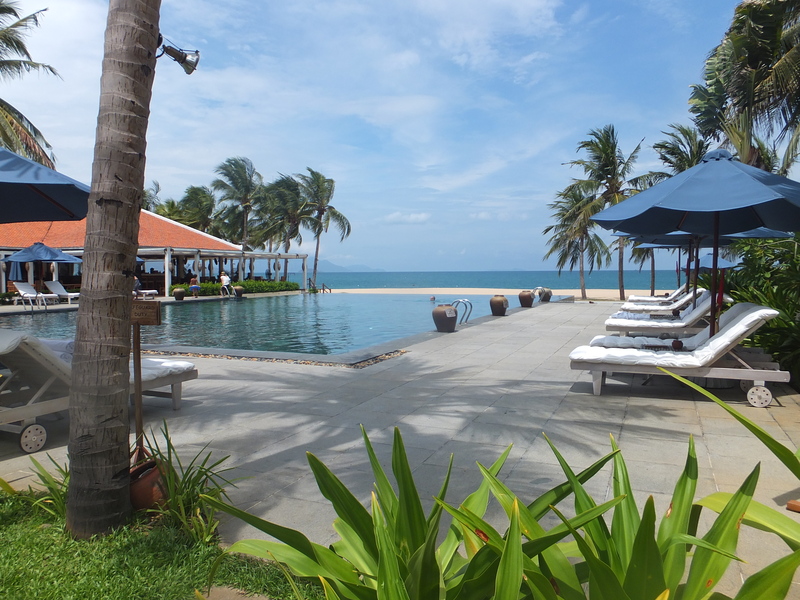 Next time we visit Nha Trang, I am going to make certain that I finally have my chance to stay at Evason Ana Mandara Resort. The kids loved it, I was bowled over and can’t wait to get back here, I’ll give you the tip, it won’t be in another 12 years! 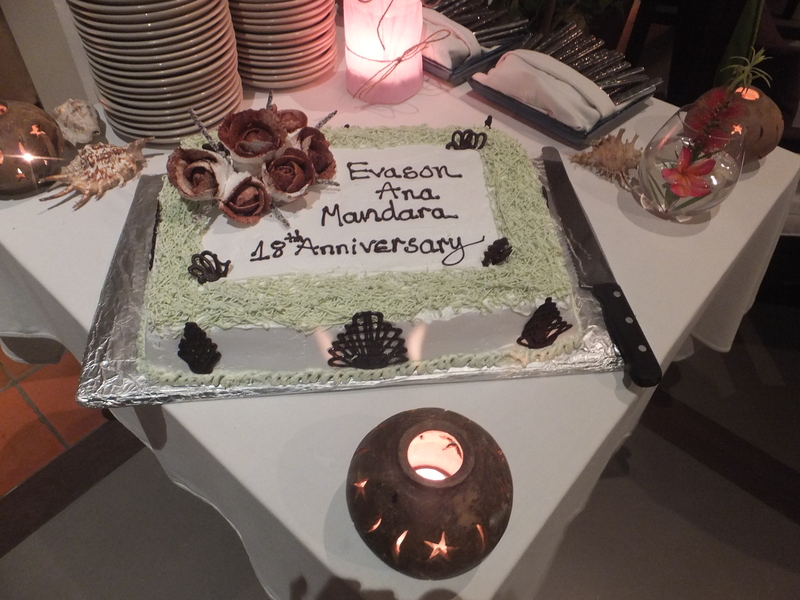 If you have the opportunity to stay at the Evason Ana Mandara make sure you do I’m sure you won’t be disappointed! 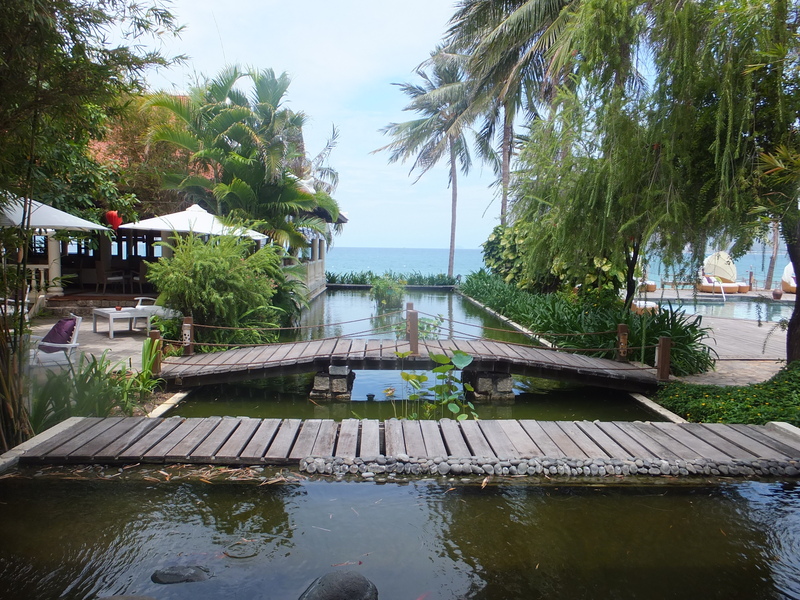 Can’t wait to see this entrance again, until next time Ana Mandara Resort. While in Nha Trang we also visited the Po Nagar Cham Temple, it’s not far from the main strip of Nha Trang and its a great bit of culture for the kids to experience. We visited the Vietnamese Water Puppet Show in HCMC but I noticed you can see them in Nha Trang now also, it’s definitely worth a visit with the kids. It tells the history of Vietnam and life on the rice paddies through puppetry. A great cultural experience for kids of all ages. We flew to Nha Trang with VietJet Airlines and found them to be a great cheap option to Jetstar Pacific. Thank you to Andrea & Van for hosting us for the day, hope to see you again soon. Disclaimer: We had an mutually beneficial arrangement with Evason Ana Mandara, although as always our opinions are our own. Love it Sally! Wish I’d taken more time to see more of the hotel now. Looks beautiful. Hope to get back there again as well. Hi Sarah, it is a lovely resort and the location there is second to none. I hope that one day we return and have the opportunity to finally stay there, its top of my bucket list now. The gardens are delightful and very well manicured which really adds to the ambiance of the resort. Thanks Mary, the resort is perfectly located on the Nha Trang foreshore, you won’t be disappointed with a stay at Evason Ana Mandara. Its on my list for next time also.